Home Blogs Team Wiggins Pro Dan Patten's Blog Dan Patten Blog – End of Season Report! So the end of the season has arrived on the Dan Patten Blog. All in all it’s been a good year – I’ve learned a lot, showed my strength (although sometimes a little too much) and certainly had some success along the way. My form and my strength increased throughout the entire first half of the season, where I took my first win in Belgium, as well as having a number of podium places. Since then the luck hasn’t gone my way. There’s been one thing after another that’s stopped me building on the success from the first half of the season. There’s still been some good top ten rides and some very close calls when it comes to adding to the win tally but not the success I expected, but that’s sport, eh! Time for a rest now! Since the last blog update there have been some highlights inbetween the misfortunes. 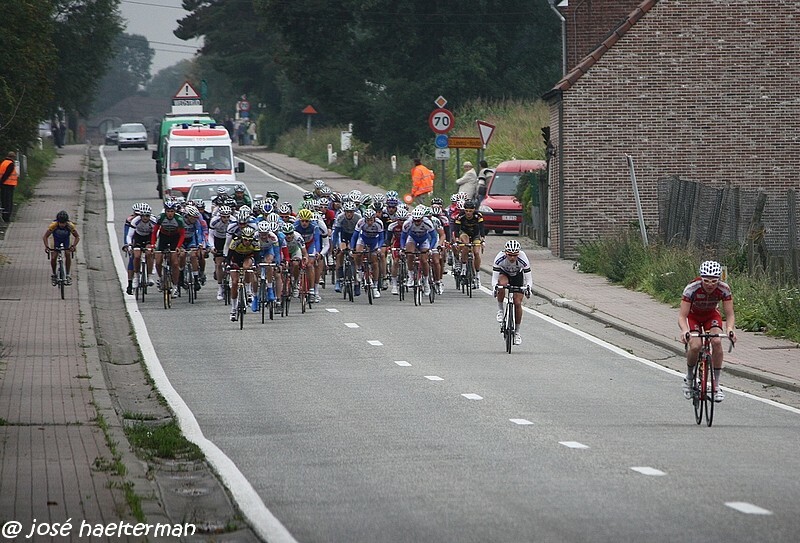 Having ridden aggressively to make the the break in Eernegem, I did what I know best and went for broke by attacking the break of 17 and was to get away solo in the last eight k’s of the race. Going through the line for the bell lap (taking my second primie of the day) I had myself a good ten seconds lead. Two other riders were to come across and there was certainly some firepower there, but this proved to be too dangerous for the remaining riders in the break and we were brought back a few k’s from the end. It was a brave attempt for freedom but on this occasion it wasnt to be. Despite recovering before it came to the sprint, I was too far back when it opened up and I ended up 14th. Disappointed with the end result after my attempt to win the race, but with the quality of riders chasing me, it was always going to be a tall order. I certainly stirred things up though and no doubt gained a few more fans in the process. Stirring it up at Sint-Lievens-Houtem. Having raced the next day also, I then was to do some testing in Waregem with Dr Dag van Elslande on the following day. Despite feeling a little on the tired side, the results were surprisingly very good. My heart rate suggested to me I was a little tired, but the power levels reached was compared to that of Stijn Devolder, to the surprise of the good Dr. – and considering how I was feeling on the day, a surpirse to me too. A nice surprise though, and more confirmation of the levels I am operating towards now, and hopefully an indication of the level I can be riding at in the future. An arty shot taken in Lokeren. From teammates riding into me, to bottles taking me down, to mechanical problems, to being knocked off on two occasions by cars driving out onto the cycle lanes (yes, me and my teammate were hit by a car again on the way home from a race, again in the cycle lane). Add in a bit of illness and you could say things have been against me these past few months. Somehow I have come out of it all relatively unscathed (I’m still alive and have been able to finish off the season) but it’s still not been good for the body and of course has heavily disrupted this second half of the season for me. Still, as a foreign rider coming to race in Belgium, I certainly feel I have made an impact on the Belgium racing season and I now have the experience to build on this. I have impressed people with my racing performances, people who know the level of the racing in Belgium and having been there challenging for the wins consistently in these races, I hope this can lead to bigger and better things for 2011. I’m was so pleased to get my first win in Belgium. This is a great place to race your bike, so many passionate people coming out to watch and along the way I’ve gained some fans for the way I have raced, which is always a nice bonus. So, for now I’m back in the UK. I’ll give myself time to relax and recover in the off season before getting into training once again. Still much to sort out in terms of my plans for 2011, but my attention continues to be focused on this, trying to ensure that I get that step up, that will allow me to build again on what I have achieved this year. Maybe see you at the Braveheart Dinner this weekend? Previous articleTour of Lombardy 2010 – Phil Gilbert Again!